The war between battle royale giants rages on, but the end might just be in sight. Fortnite has absolutely crushed PUBG since entering the fray, and it doesn’t look like PUBG will recover the top spot… on PC. But here’s the thing: it doesn’t have to. Since Tencent stepped into the picture and released a mobile version of PUBG, the PC version has been largely overshadowed by the success of its mobile port. Going forward, you can expect PUBG Mobile to continue to drive the direction of the franchise and become the only true competitor to Fortnite. Don’t believe me? Keep reading. This week the PUBG Global Invitational 2018 kicks off in Berlin, but despite the tournament’s eye-popping $2 million prize pool, player numbers continue to fall. What’s worse, last week Fortnite kicked off the eight-week Summer Skirmish Series, with an even more shocking $8 million prize pool. Granted, the two can’t really be compared, with PUBG opting for an offline event in an enormous arena. Fortnite, on the other hand, went with a much more streamer-friendly online event that’s played alongside average players. As fun as these events are, the cold hard truth is the neither game is likely to succeed as an esport. Although PUBG has evolved since the first snooze-fest of a tournament was won by a Korean player who spent entire matches hiding and healing outside the blue zone, Battle Royale games are just too random to attract a long-term competitive crowd. So why hold tournaments? One word: marketing. Live streams of week two of Fortnite’s Summer Skirmish attracted 800,000 viewers, plus tons of content for YouTube videos that are sure to reach view counts into the millions. In this sense, competitive events and streamers are the main thing that PUBG for PC contributes to the franchise. But when a new player is drawn in by the tense matches, they’re likely to turn to the free PUBG Mobile before shelling out 30 bucks for the PC version. That is, if they even have a PC. Much to the chagrin of ‘PC master race’ gamers, mobile gaming has long been atop the gaming food chain. This year, mobile games are set to bring in nearly half of global gaming revenue, while PC games bring in less than a quarter. Perhaps even more important than revenue, the number of mobile gamers around the world is expected to grow to a staggering 2.7 billion (with a ‘b’) by 2021. With those kinds of numbers, it’s easy to understand why so many developers are targeting mobile audiences over traditional gamers. While both PUBG Mobile and Fortnite are available on mobile devices (the latter only on iOS), only one is a true mobile title. Epic Games has struggled to adapt Fortnite’s key mechanic — building — for touch screen devices. PUBG Mobile, on the other hand, has the world’s largest gaming company at its back. Developed as a mobile game first and foremost, it runs better on mid-range devices than PUBG runs on consoles, even more than a year after release. PUBG spelled it out themselves in June, when they announced that PUBG now has 400 million registered users worldwide. With PC and console sales at a combined 50 million, you can guess where the rest of those users are coming from. 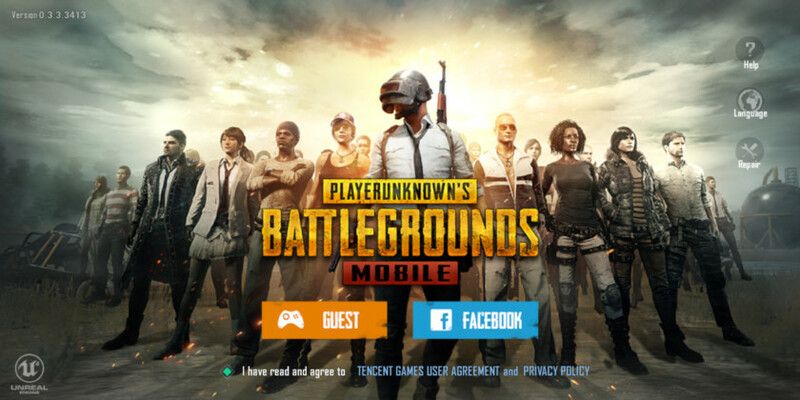 It’s now been more than six months since Tencent first got the rights to create a mobile version of PUBG. Instead of a simple port, the mobile gaming giant released two unique titles in its home territory: China. These two games, PUBG: Exhilarating Battlefield and PUBG: Army Attack, instantly shot to the top worldwide downloads list on iOS, despite only being released in China. The games reportedly had 75 million pre-registered users, which reflected the pent up demand for a free-to-play mobile version of PUBG. Eventually, one version was adapted for global audiences and released as the PUBG Mobile we all know and love. However, the Chinese version continues to get updates well ahead of the global version, and as of writing it’s testing patch 0.9.0 while 0.7.0 was only just released globally. It’s easy for those of us in the West to forget just how popular PUBG is in Asia. With the whirlwind marketing campaign Epic Games has running, it feels like Fortnite is everywhere. In reality, however, the phenomenon is mostly confined to the States and Western countries. Even the PC version of PUBG, which is developed the South Korean company Bluehole, is hugely popular in Asia — look no further than the crowds at the PUBG Global Invitational 2018 for proof. The stands are filled with fans cheering on Asian teams, even though the tournament is being held in Germany. When it comes to mobile, PUBG’s strength in Asia has huge consequences. Of the previously mentioned 2.7 billion mobile gamers, only around 200 million are American. The rest are in countries like China where most people’s main computing device is their smartphone. One of the keys to Fortnite’s massive success is its positioning as a free-to-play title. Season Pass purchases have driven revenue sky-high, but mobile gamers are more than familiar with the tactic. Indeed, this type of monetization has been tested and perfected in the mobile realm long ago. 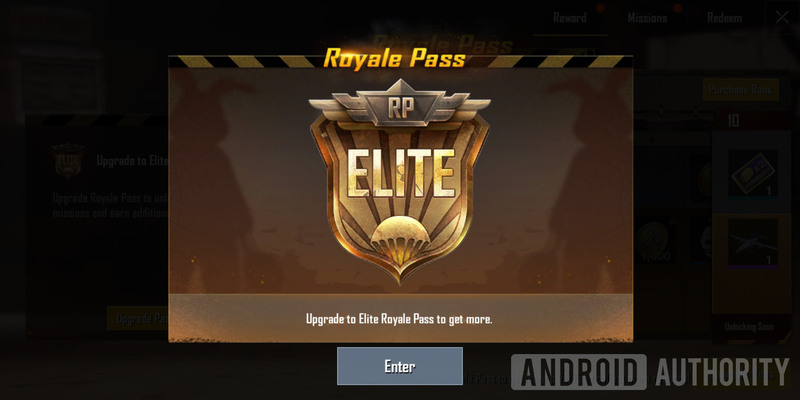 It’s no wonder that when PUBG Mobile released patch 0.6.0, it introduced its own Royale Pass with roughly the same format. The results were immediate. Spending on PUBG Mobile increased by 365 percent in the first week after the release of the Royale Pass. It’s now raking in close to $1 million a day, inching closer to Fortnite’s iOS-only revenue. Notably, these stats don’t include China, which is somewhat of a black hole as far as statistics go. Considering China is the primary home of not only PUBG Mobile but also mobile gaming as a whole, it’s not much of a stretch to assume it’s doing even better in Asia. By contrast, when the PC version of PUBG attempted to adapt the Royale Pass for a game that already costs $30, it was met with a huge player backlash. When the game is still plagued by optimization issues more than a year after release, it’s not hard to guess why. As uncomfortable as it might make many gamers, it’s clear that mobile games are now the driving force behind the industry. The war for Battle Royale dominance might rage on for a while to come, but the mobile arena is where it all will end. With PUBG Mobile’s massive head start in the world’s largest mobile gaming market, it’s the industry’s best bet to topple Fortnite from the throne.